Pizza Hut has drafted JuJu Smith-Schuster to be a part of its first campaign as the NFL’s pizza sponsor. 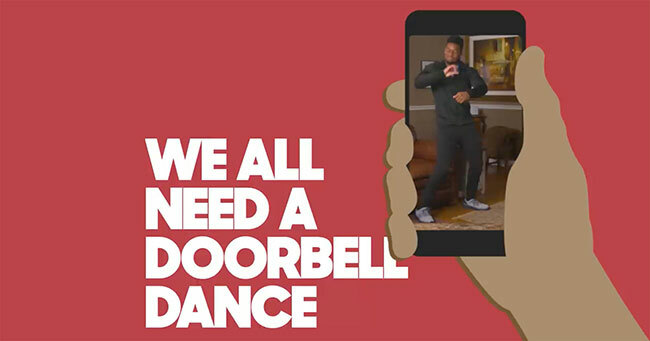 The Pittsburgh Steelers wide receiver will be an ambassador for the chain’s new “Doorbell Dance” campaign, and he will appear as a social media correspondent on the league’s “red carpet” during the NFL draft this weekend. Smith-Schuster’s presence will be part of a “sponsorship activation plan” that includes dancing, prizes and fan activities. Smith-Schuster will “demonstrate ways he celebrates when the doorbell rings, meaning Pizza Hut pizza has arrived,” the company said. The chain is asking customers to submit their own Doorbell Dance on Instagram April 26-28, tagging @PizzaHut, #PizzaHutHut and #sweepstakes. In addition, the company will give the 78th pick in the draft, or the 14th pick of the third round—the “Pi Pick”—free pizza for a year and a pizza party in his honor in his hometown. The Pi Pick will also receive swag, gift cards for teammates and other perks. The company is offering an NFL Draft Box promotion with two medium pizzas, chicken wings and breadsticks starting at $19.99 during the draft. Pizza Hut recently signed a multiyear sponsorship agreement with the NFL, which gives the chain certain marketing rights and benefits. It enables the chain to use all 32 team marks and enables the company to work with the NFL on local team partnerships. Rival Papa John’s had held the sponsorship. “Pizza Hut wants to leverage the draft as a national platform to bring more value to the home watching experience, and we are thrilled to see them activating in new and unique ways,” Renie Anderson, the NFL's senior vice president of partnerships, sponsorship and consumer products, said in a statement.